Excited to share a simple routine I do pretty much every week. 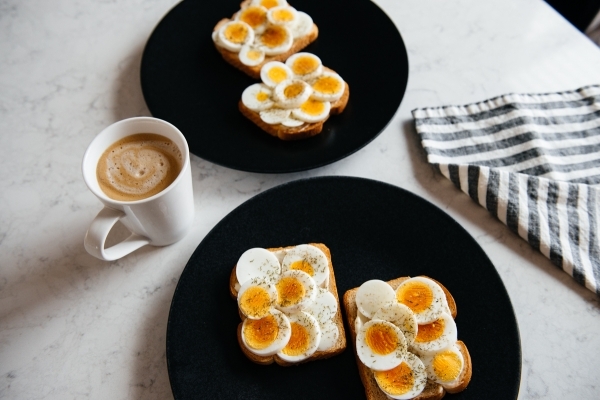 We LOVE eggs in our house and I am a sucker for sliced egg toast in the mornings. Ever since getting out instant pot, I have started making my hard boiled eggs in it because it’s incredibly easy and takes barely any time to do. If you have been following along on instagram and watching my stories, you know we love cooking in that magic pot and I always get so many questions on the recipes we love to cook in it and if we truly still love it. We use it at LEAST once a week if not more and have been doing a lot of recipe experimenting in it lately. It just makes meals so easy with our little Otis taking up all our time. So today I wanted to share how I make my hard boiled eggs. I was first introduced to this recipe by my friend Lindsay who is always cooking up some tasty dishes. She inspired my instant pot purchase and it’s been love ever since. 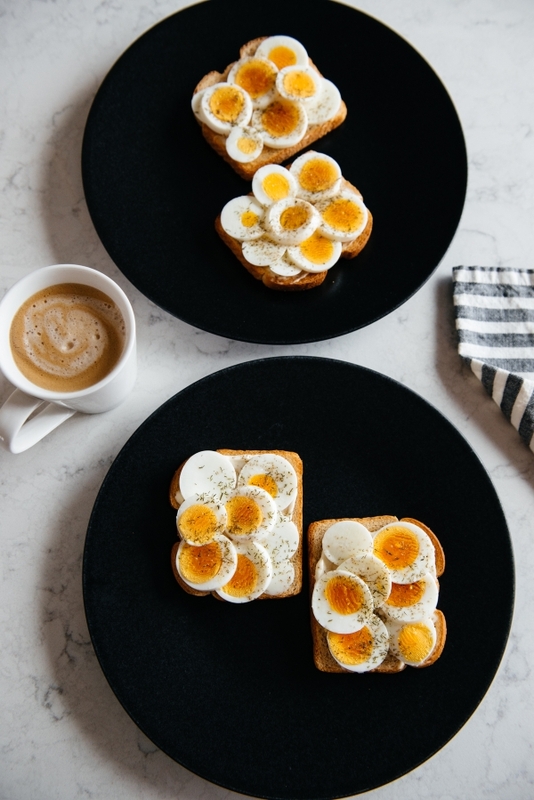 So today I am sharing how I hard boil my eggs and my quick and easy egg salad recipe. Place rack (that was included with your instant pot) in bottom of your instant pot. Pour 1 cup of water into your instant pot. Arrange eggs carefully on the wire rack and close the instant pot. Pressure cook on high for 5 minutes. Remember that it takes the instant pot some time to come to pressure so it will take a bit longer than the 5 minutes of cooking time. Once timer goes off, quick release the pressure. I always wear an oven mitt so I don’t burn my fingers with steam! Once pressure is all released, move the eggs into the ice bath for 2 minutes. 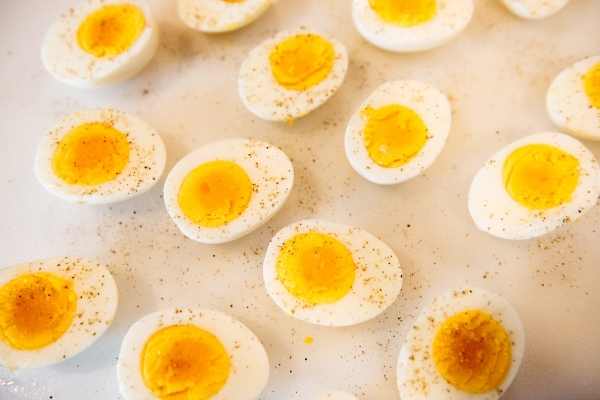 Remove from ice bath and peel eggs and enjoy! Or I dry them off, put them in a bowl and place them in the fridge to enjoy later. The yolks are perfectly hard but still have a slight softness. You can adjust the cooking time if you want softer or hard yolks but find that 5 minutes is my sweet spot. 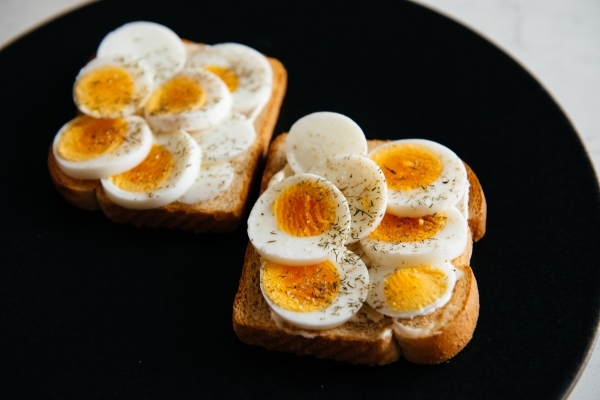 I love to toast some wheat bread and spread some mayonnaise on it, add my sliced eggs, and sprinkle with salt pepper and dill for a light and satisfying breakfast. I also love to whip up some easy egg salad. Recipe below. Roughly chop up your hard boiled eggs and add to mixing bowl. Add salt, pepper, and dill. Add mayonnaise and stir mixture. Season more if needed. 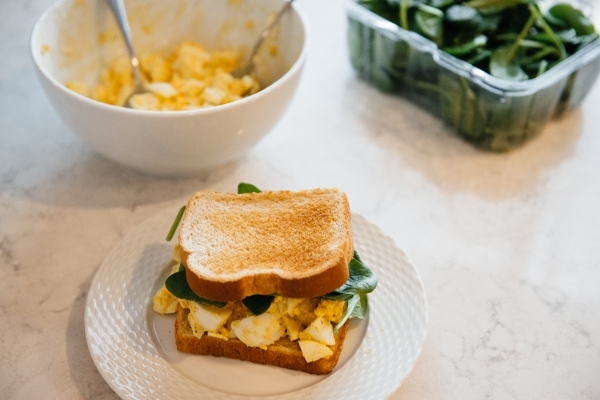 Scoop portions onto toasted bread, add a handful of baby spinach and enjoy! This recipe is SO simple but so tasty. Feel free to mix and match different herbs, or add a squeeze of dijon mustard if you want to add a little tang to your egg salad. Enjoy! Melissa Tierney - This looks sooo delish!